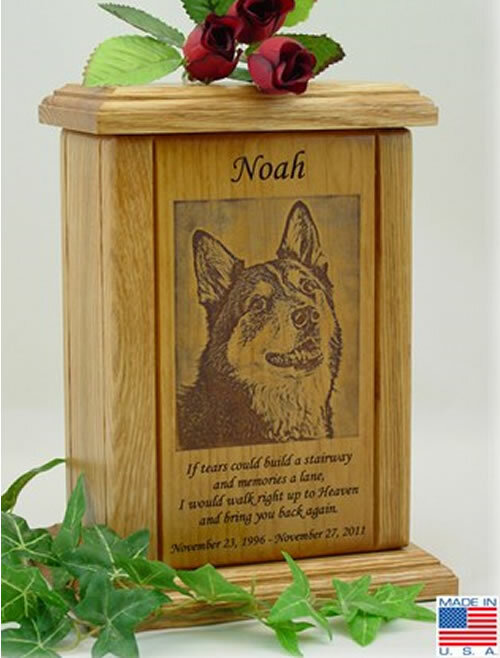 The Pet Portrait with Poem Cremation Urn is crafted of solid select grade Red Oak and Red Alder. The tone of this wood makes a nice background for the laser engraved portrait of your beloved pet. A poem, the name of your pet, and the pet's birth and passing dates can be engraved. "Losing You" is the title of the poem in the photo. Other short poems are available. 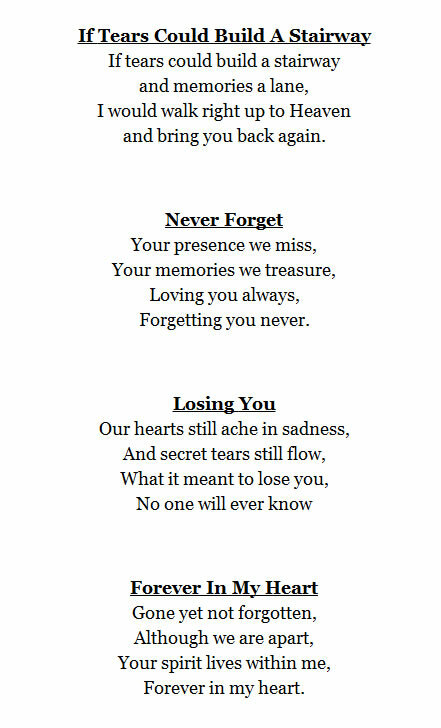 Please click on the small Detailed Images below the picture of the urn to view other available poems. The engraving is included in the price of the urn. You can either upload an image from your computer when placing the order or email us an image later. The photo must be very high quality, at least 600 dpi and preferably higher, very crisp and clear with good color contrast and excellent lighting over the pet's face. If part of the face is in shadow, the photo will not work. The pet's face needs to be the majority of the photo, not a distant object in the photo. Volume: 50 cubic inches - for most pets with healthy weights up to 30* lbs. Volume: 116 cubic inches - for most pets with healthy weights up to 80* lbs. Volume: 148 cubic inches - for most pets with healthy weights up to *110 lbs. This is a quality product created by skilled American craftsmen. Please allow approximately 7-10 business days after proof approval to complete. Rush orders are a possibility but still require 5-8 business days after proof approval to complete before shipping. 6-5/8" X 5-1/8" X 6-1/2"